ICS is a leading Microsoft Certified Partner who has assisted hundreds of NJ businesses with migrations to Office 365 cloud. From email migrations to support, administration, and licensing management, we can help your business with all of its Office 365 needs while keeping your budget in mind. 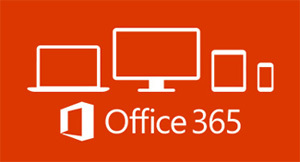 Our in house Microsoft Office 365 Certified Professionals will streamline the transition to Office 365 cloud allowing your company to benefit from Microsoft's fastest growing product ever.